Dazzling Dutch design room divider. Looking for a unique room divider, unlike anything you have ever seen before? Look no further! Our design room divider is a gorgeous piece of design furniture. It will add a certain flair to your current interior decoration while also performing the function of sectioning of separate spaces. Your guests will be in awe of your tasteful combination of designer objects! It doesn’t have to be large to attract the eye, even a small version looks great in your interior or project. 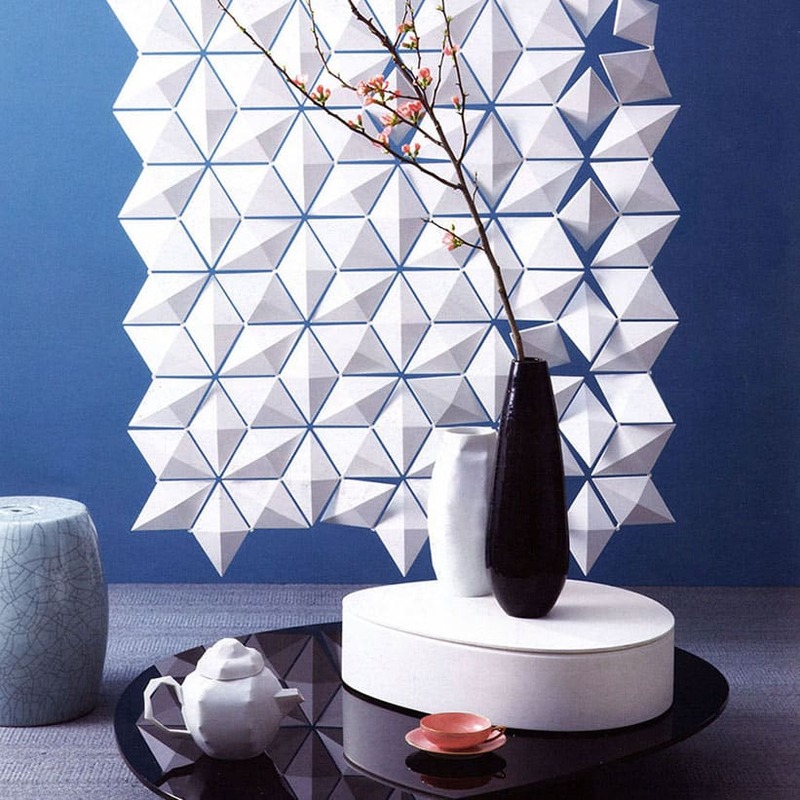 Our design room divider Facet is available in any size. A room divider can be a tricky thing to shop for. There are so many options on the market and if you want a design room divider, you won’t find it in a regular store. What makes our room divider, named Facet, unique, is the fact that it is customizable. It consists of a modular system, so it can be made to fit any space. And after you have installed it, you can still change the look of it, seeing as the separate diamond-shaped facets can be rotated to let more or less light through. You can play with light and shadow! The entire screen is made up of these individual facets, creating a stunning geometric pattern. A pattern like this goes with so many different styles and gives a modern twist to any setting. It can be used in your designer home, newly renovated office, stylish hotel lobby or trendy art gallery. Make this design separation screen your own. Once you have installed your design room divider, you can decide if you want to leave it as it is, or if you want to play around with it. The diamond-shaped facets can by turned around for a full 360 degrees. This means that you can change the look of the screen and make it your own. You can decide to only flip around the facets on one side like you can see in the picture featured here, or you can do it in a section in the middle, or in vertical lines or at random all over the screen. Each of these options will give you a different effect. The screen is supplied with ceiling attachments for easy mounting it on your ceiling. And these ceiling attachments are available in brushed stainless steel to compliment your new design room divider. The screen is available in a range of beautiful colors. Choose a color that contrasts with the color of your walls to make each color more vibrant, or choose a similar color for a more sophisticated look. If you want a very specific color, contact us to see if it is possible and what the additional cost will be. The ceiling attachments are carried out in brushed stainless steel. Take a look at our different room divider ideas under the showcase button at the top of this page for more inspiration!